Dwayne “The Rock” Johnson’s charismatic charm and insane physique are part of what’s made it so easy for him to cross over from the land of wrestling into the world of big-budget superhero franchises. In this weekend’s SNL “Scorpio” sketch, though, he reveals the one thing you really need to be a hero: the ability to sew. After gaining super-strength and the ability to sting people with deadly venom, a man named Steve adopts the Scorpio mantle and gets into the crimefighting business. As impressed as Steve’s Scorpio’s reporter friend is by his secret life as a superhero, she immediately zeroes in on the most interesting thing about his (and basically all heroes’) origin story: he designed and sewed his armor together by hand. In just one night. 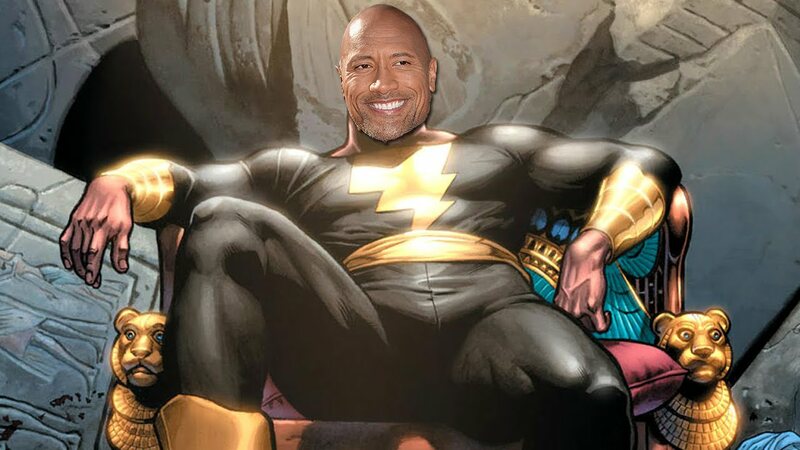 Now one has to wonder what sort of aesthetic Johnson’s take on Black Adam will have when he finally makes his way to the DCEU. It’ll be a dark, form-fitting affair, for sure, but how vibrant will the gold accents be? Lighting bolts can get awful gaudy if you aren’t careful about the material you go for.